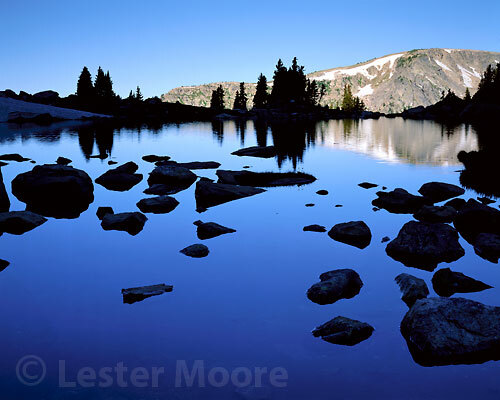 Specializing in landscape photography and wilderness photography, Les Moore Photography was established in 1998 by Lester and Michelle Moore. 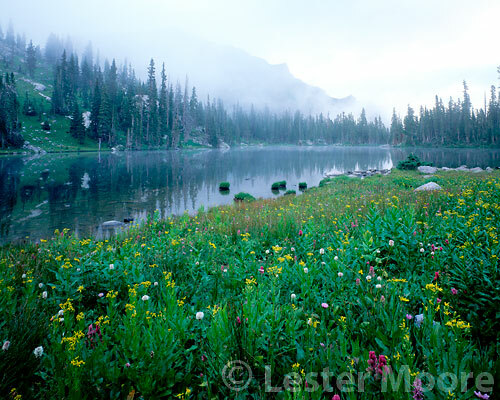 Les captures scenic landscape images from across the Western United States, including Rocky Mountain National Park pictures where he lived for 20 years . As an avid backpacker, mountaineer, and climber, Les captures unique nature and adventure photographs during his travels. Among his favorite places are the western United States including: Colorado, Utah, Wyoming, and the Pacific Northwest, as well as Chile and Canada. Les captures many of his landscape images with a large format 4×5 camera. The use of a large format view camera not only provides superior image detail, but also gives greater creative control over the image taking process Additionally, by using the 4×5 camera, we can easily create sharp images up to 96″ long! Les also uses 35mm and digital cameras, mostly for travel and adventure photography. Les also photographs with professional digital SLR camera, often using computer software to stitch together images into ultra-high detail panoramic and mosaic photos. Les strives to capture on film the spirit and ever-changing moods of nature. He hopes his images provide a glimpse into the beauty and character of the world around us. We sell our images as fine art prints. We also sell rights to our images for stock photography, advertising and editorial uses.